The third event in the Writing for Liberty series was held on Wednesday, 15 May. The award-winning British/African writer, Aminatta Forna, was in conversation with Zoe Norridge, lecturer in English at King’s College, London. The session began with Zoe summarising the main themes of Aminatta Forna’s work, to date two novels and a memoir set in Sierra Leone (birthplace of her father) and, most recently, a novel set in Croatia. It was stressed that, although set in Sierra Leone, the books were not necessarily about the country as such but rather sought to address universal themes through the medium of stories which are not just narrowly African. In fact, the issue of setting was returned to quite frequently in the course of the evening with location, although carefully researched and meticulously detailed (mapped almost), the focus, or locus perhaps, for the representations of conflict was both specific and generic. 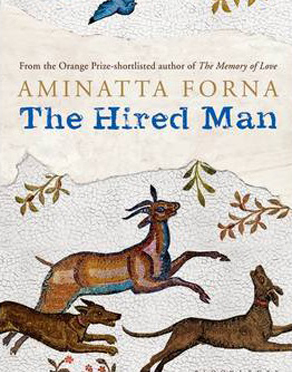 To illustrate this, Aminatta told us that The Hired Man (set in Croatia), which became the main centre of the discussion and the subject of the readings, began with a BBC story about an empty house owned by a brother and sister but based in an unspecified place. In The Hired Man, the empty house is a crucial feature but the emphasis of the narrative has switched from the house (the focus of the BBC story) to the character of Duro Kolak – a man who has spent all his life in, or not that far from, the district, and lives alone in a hut with his two hunting dogs. A skilled craftsman he becomes the hired man, helping to restore a semi-derelict house for an English woman, Laura who comes to the area with her teenage son and daughter. Given the novel’s themes of loss, betrayal but also of love, for Duro the house is a site of both memory and forgetting, part shrine, part burial ground. When I discussed beforehand with the writer how it is possible to write about genocide or atrocity, what scale is necessary, she said that she always starts from character and the relationship with place. The story is told through the eyes of Duro, who is both narrator and, crucially, witness. The role of witness recurs in a number of her novels but, in this particular case, what is witnessed is rarely made explicit as the narrative works by inference and in indirect fashion – rather like a palimpsest in which the original is never quite revealed. 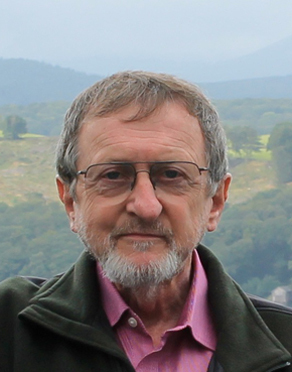 This strategy of obliqueness appears to simulate the experience of the incomer or outsider – like Laura – who can never realise the extent of what has been suffered or perpetrated in a site of conflict, nor can they afford to dwell on, or attempt to imagine even, what the local people they come into contact with might have done. For example, Aminatta suggested, your taxi driver might have been a killer not long ago. Duro and those he has grown up with live in close proximity with each other but are separated by unspoken memories of betrayal and complicity. So, the theme of forgetting turns on a double oblivion – of those who suffered and those who visit and cannot ever know that suffering. 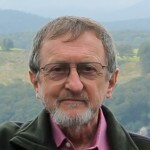 The novel is precisely situated in an area of Croatia known from 1991 to 1995 as the ‘republic of Krajina’ – a Serbian enclave – which, by implication, raises a considerable number of complexities sedimented in the narrative. The first reading was taken from a section of the novel where Duro is walking his dogs and sights a herd of deer. As he patiently measures out in time and space the killing of a young deer, the writing enacts/mimics the scene through its patient storytelling and intercuts it with a moment from 1975 when the young Duro failed to kill a boar. Central to this moment is the ten year old Anka – a beautiful absent presence throughout the novel who is gradually recovered and restored to memory – balanced upon a rock, poised, silent, still, prefiguring her role as an almost Keatsian unchanging ‘Attic shape’, ‘foster child of silence and slow time’, the timeless beloved. The narrative works with a double, sometimes triple, time perspective as it moves seamlessly between 1975, 1992 and 2008, replicating the consciousness of those who have endured. The precision, focussed attention to detail, and pacing of this section brought to mind a comment about Aminatta that she is a ‘method writer’. The aptness of this became clearer when she spoke about the research she carries out which generates ideas and enables her to live the lives of her characters. This research included two weeks spent in an operating theatre, a spell of observation in a mental asylum and, for this novel, learning to shoot a rifle at Bisley, as she went ‘into the zone’ to experience the stillness and focus of the character of Duro in the presence of death and the emblematic killing of the doe. Preparation seems to be a key feature of Duro’s life, hence the scrupulous attention to his daily work-out, perhaps the reason for his survival in once-hostile territory. Laura, the outsider figure aestheticizes her environment. Trapped in the ‘tourist gaze’ she is unaware of where she is historically or politically and remains incurious and also lacking in self-knowledge. Her daughter, Grace, in contrast has an openness and curiousness. She helps to bring out the witness in Duro, the keeper of memory, and the voice of morality who, nevertheless has his own demons. The second reading was taken from the section where they drive to a region where Duro used to live, the site of a failed relationship which also becomes the place where he emerges as a father figure to both children and overcomes the hostility of Laura’s son. The session concluded with a brief discussion about narrative strategies, in particular the shift from multiple narrators in previous works to a single voice in The Hired Man in which the gaze is reversed and turned on to the incomer. Aminatta also spoke about her writing and re-writing practices, the changing of tenses and voices in the process of revision, and how her books can gestate over a very long time – three or four years in the case of this novel, for instance. 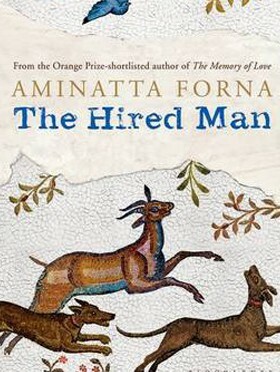 As she believes that people are created by interaction with their environment, Aminatta was drawn to Sierra Leone and Croatia because they are both beautiful places where terrible things have happened but there is also a pragmatism around what people have done, and what has been done to them, which enables them to continue living, close to the earth and the brutality of memory. In this context, she added that her books have had a deep resonance in Spain because of the still-current memories of the traumatic civil war and its aftermath. The post-conflict dilemma of return and of who did what was common both to Spain and Sierra Leone, as well as being raised by friends in the former Yugoslavia, with stories of shelling, of snipers, of betrayal, and of life lived under siege on a daily basis.